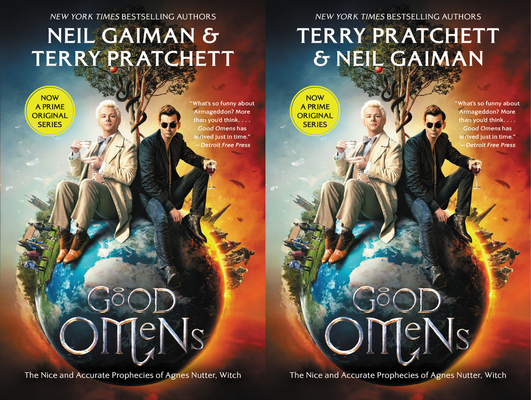 Good Omens: The Nice and Accurate Prophecies of Agnes Nutter, Witch (Paperback) | Fountain Bookstore, Inc. Easily one of my top-five favorite books of all time. This is the story of the end of the world, as documented by a witch who has the gift of prophecy. As the prophecies unfold, we follow the story of an academic, uptight angel and a loose, fun-loving demon who form an unlikely friendship trying to thwart the apocalypse and save the earth they've become rather fond of. Hilarity ensues. Written by sci-fi and fantasy geniuses Terry Pratchett and Neil Gaiman, this book won't let you put it down. The end of the world is here and it's hilarious.